For the purposes of the General Data Protection Regulation (2018), the Group Practice is the “Data Controller”, registered as such with the Information Commissioner’s Office. The General Data Protection Regulation (GDPR) superseded the Data Protection Act (1998) in May 2018. The aim of the GDPR is to standardize Data Protection Regulations across Europe. These new rules are similar to the Data Protection Act but further strengthen rights and empower individuals by giving you more control over your personal data, bringing a new age of compliance and accountability. How to make a Subject Access Request (SAR) – advice on how to request a copy of your medical records. Download a Subject Access Request (SAR) form. For further information on GDPR or on SARs you can visit the Information Commissioner’s Office website. Where it is necessary, relevant information is exchanged with other health professionals, such as for hospital referrals, or to central systems such as health monitoring and screening. However, no information is disclosed outside of the health service without your permission unless we are required to do so by law, such as for a court case, child protection, or public health. Anonymous patient information may also be used at local and national level to help the Health Board and Government plan services e.g. for diabetic care. If you do not wish anonymous information about you to be used in such a way, please let us know. 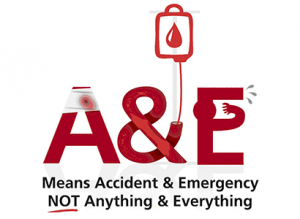 When the surgery is closed NHS 24 or Accident and Emergency can access your Emergency Care Summary. Please tell the surgery if you do not want your summary accessed by emergency care.